Most of our customers use our storage facilities on a short-term basis. Both in domestic and business circles alike, self-storage can offer an outstanding quick-fix solution for a wide variety of problems. In many instances, short-term storage solutions are required at the last-minute with no prior warning. You run out of space, you find yourself with more than you can handle and need urgent help. From moving house to office refurbishment to simple small business growth and expansion, there are countless reasons why a little extra space may be needed on a temporary basis. When this happens, we’re proud to offer the most flexible, affordable and accessible short-term storage solutions on the market. Whether looking for large or small storage units for any purpose whatsoever, we’ve got you covered! With us, time simply isn’t a factor at all. We offer dynamic and flexible short-term storage services, designed to cater to the needs of our customers flawlessly. Whether looking to use our services for a few weeks or several years, we guarantee the same care and attention, 24/7 security, round-the-clock access (upon request) to your property and superb value for money. What’s more, we’re also ready and waiting to help with our short-term storage services for emergencies and last-minute needs. Whatever you’re looking to store and no matter how brief the duration, our short-term storage services are simply unbeatable. 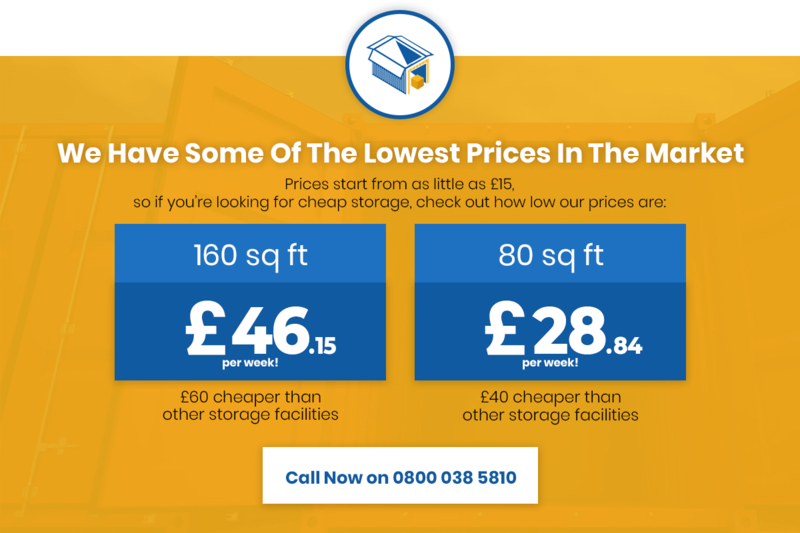 If you’re looking for an affordable, flexible and super-secure long-term storage service in London, Surrey, Sussex & Kent, we’d be delighted to help. We’re dedicated to providing a comprehensive catalogue of self-storage services for business and private use, available for any duration required. Regardless of what needs to be stored and for how long, we guarantee you will not find a better deal for a better price. Our customers approach us with storage unit rental requests for a variety of reasons. In many instances, businesses use our long-term storage services to assist with inventory storage and management for their stores. Others use our storage containers to look after their business records and spare office consumables. Some customers bring their furniture and equipment following office relocation projects or downsizing. In domestic circles, long-term storage can be great for important and valuable possessions you simply don’t have room for. Or perhaps if you’re relocating overseas and would prefer not to get rid of everything you own. In all cases, we back our long-term storage solutions with the same guarantees. Outstanding security, 24/7 access (upon request) to your property and prices at least 30% lower than market averages. Not to mention, the kind of customer care that’s already making us a household name across London, Surrey, Sussex & Kent!